SITE MAP: click on the tabs above, or click on picture of the item to see more. 54 or Mikuni H4 carb. Fits Honda Hurricane CBR 1000 made from 1987 to 1996. Also fits Honda VT700 & VT800 fitted with plastic slides. metal slides. Also VTR250, VFR400R, NC-30, with plastic slides. See the "How to Order" page click here. Thank you for your speedy reply. Payment sent via PayPal. yet as there are other things on list to do but I am sure it will run sweet as a nut!!. imagine you must be very busy. Keep up the good work. Regards, Nick. a lot of people. Thanks again!!!!!!! 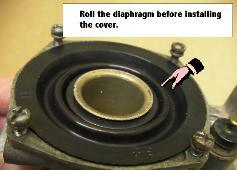 Received diaphragms and they fit perfectly. I still have a little work to do before a test ride but looking at how smooth the operation is I expect a vast improvement. 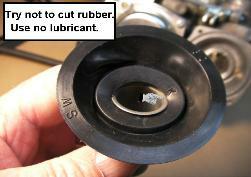 also supply gaskets for the rotax engines and cable boots etc. Has anyone on the forum purchased their products, and if so what do they think of them? If you fit any of their products, is it a mod?? the quality, they fitted spot on and there was a locking rib inside to locate the carb. Mine are still like new and I am happy, and would purchase them again. only a year or so old. Comments about age cracking click here. This is a large site with much information, so enjoy your stay and check back often. I have already restored a 1980 XS650SG and a 1981 XV1000RH, and fitted your replacement Vacuum Slide diaphragms to both Makuni and Hitachi carbs. They work great with total reliability. I am now restoring a 1979 Yamaha XS750F which is an Australian production bike. The bike is all original and fitted with Mikuni BS34-11 carbs. 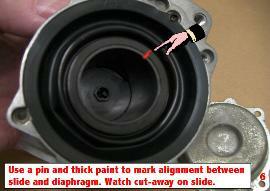 I would like to purchase 3 replacement diaphragms to suit the BS34 CV carbs. I got home seen the K-72-S diaphrams were here for my Honda VT700c, installed and the bike runs great!!!!!!!!!!!!!!!!! Thanks, Rob. far less expensive than OEM at $139. Please let me know if you decide not to carry or produce the 70mm diaphragm as I will need to order a few spares. What does it mean "SOLD OUT" ??? MIKUNI BST-40 notes on Virago fitted with Mikuni "flat slide"
Hey guys, I want to thank you very much! 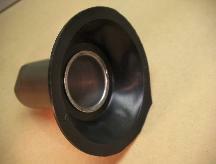 slide for our K-62 used on Ural Motorcycle. Click HERE . Good Day Don: I ordered Diaphragms for my Kawasaki KZ1100-A1 Shaft 1982 (BS34ss)THE 21st of Aug.
on the 11th of Sept and fitted them Sun 13th +- 1.5 hrs.The bike runs like new.Thanks for your great service.All the Best, Geoff Slark.